Annmarie Skin Care > Healthy Lifestyle > What Skin Care Ingredients are Safe During Pregnancy and What Should I Avoid? If you're about to be a mom, you may be wondering what you can safely slather on so baby doesn't get harmed. 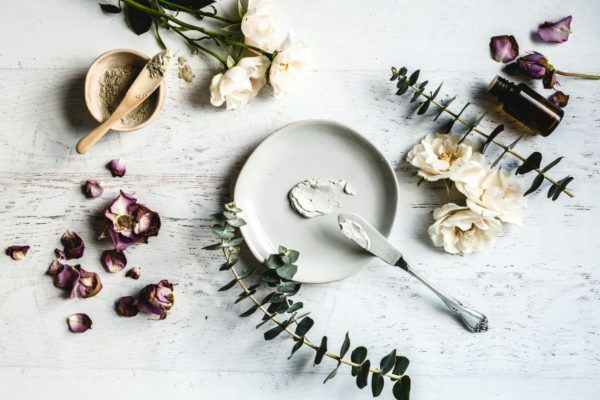 With all of these lotions and potions on the market and their unreadable ingredient lists teeming with toxic chemicals, finding the right products and herbs might be a bit overwhelming. All mamas-to-be deserve love and pampering without any harmful substances sneaking their way into their baby boo! Just when you think you have to omit any or all beauty products from your daily ritual, we’re here to tell you what is safe (and what to avoid, of course) during pregnancy and nursing. Choosing pregnancy safe skin care will put your mind at ease and keep you looking your best while your tot-to-be grows. We all want pretty nails, but why not rock them naked? Our nail beds are alive and permeable allowing nasty chemicals like dibutyl phthalate, formaldehyde and toluene in nail polishes to pass through into our bodies. 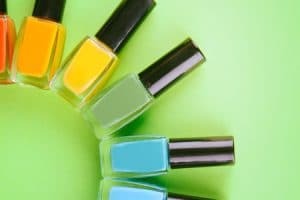 Even “natural” nail polishes contain ingredients that are inadequately tested. Let’s try to avoid these not-so-pretty paints and their toxic fumes, which are known to cause reproductive harm. Sunless tanning is the epitome of an oxymoron. I mean, why would we want to spray on fake liquid sunshine? These spray-on tan formulas contain an ingredient called DHA (dihydroxyacetone) that is considered “safe” in the unregulated beauty industry for external use. Inhaling this chemical through the spraying process, however, can cause potential harm. One study shows that DHA is mutagenic, causing primary DNA damage. Let’s choose the safer alternative and sunbathe 15 minutes a day, with proper sun protection, and receive the wonderful benefits of vitamin D essential for your baby’s bones. Often times the “Pregnancy Mask” appears in the form of dark pigmented patches on the face. These color changes are triggered by hormones that increase the production of melanin in the skin. This temporary mask may annoy you, but avoid chemical skin lighteners at all costs! Skin lighteners often contain a chemical called hydroquinone, which is a hormone disruptor and is also linked to cancer and organ toxicity. Artificial fragrances (fakegrances!) contain a whirlpool of plasticizing chemicals called phthalates that are added to perfumes to make them stick to the skin. Say “no” to these chemicals that may cause birth defects and disrupt the endocrine system. Instead, use a drop or two of pure, therapeutic grade essential oils diluted in a carrier oil of your choice. 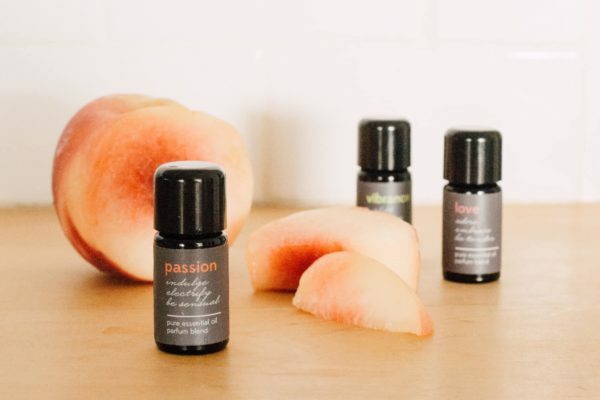 We’ll tap into which essential oils are considered safe later on. Ah, aromatherapy! Hair dye contains a cocktail of carcinogenic ingredients. These dyes sit on the scalp for a moderate length of time—enough to absorb through our skin. Arylamines are a family of chemicals that are common in hair dyes. They pose a risk factor for bladder cancer and have been found to cause cancer in experimental animals. PPD (p-phenylenediamine), a chemical from this family, is even listed on non-permanent “natural” hair dye products. High exposure to PPD has been linked to reproductive/developmental toxicity and cancer. Don’t be fooled, ditch the dye! Another no-no for the embryo. Parabens (methyl, propyl, butyl and ethyl) are found in a variety of self-care products including: shampoo, facial cleansers, body washes, lotions, foundations, etc. They are endocrine (hormone) disruptors, mimicking estrogen in our bodies. We like to refer to them as ParaBANS, because they should be banned in the U.S. like they are in other countries, including all of the E.U. (Europe is always 10 steps ahead in cosmetic safety!) Make sure to read labels thoroughly before coating your skin with this harmful ingredient. Oxybenzone is the culprit here, often hidden under its alias: benzophenone. This chemical is found in conventional and even “natural” sunscreens. It is linked to developmental toxicity and hormonal disruptions with high exposure. Since sun protection is encouraged every day, make sure to look into mineral based sunscreens like zinc oxide. Both of these compounds, generally used for exfoliation, anti aging, and acne treatments, are considered unsafe for pregnancy. Salicylic used in high doses have been shown to cause birth defects and pregnancy complications. Same goes for retinoids, as they have been linked directly to miscarriages and birth defects. Look for and avoid other names such as beta hydroxy acids or BHA, which are all salicylic acid. Retinoids are commonly listed as: retinol, tretinoin (retinoic acid, retin-A), isotretinoin, and alitretinoin. Now that we’ve covered the don'ts, let’s highlight the dos. All of these tips are not only safe, but highly encouraged throughout your pregnancy to make sure that you and your little one are getting all the primp and pamper you deserve! As your belly bump and breasts grow, stretch marks are likely to form. To help reduce the appearance of these marks, stay hydrated, eat a nutrient-rich diet, incorporate dry brushing, and keep your skin moisturized throughout the day, preventing these nuisances from leaving their mark. We love recommending our Radiant Skin Silk Body Lotion, a silky rich blend of deeply moisturizing oils. We also love our Coconut Body Oil, best slathered on right after the shower, when your skin is still damp. The healthy saturated fats in coconut oil help. When it comes to pregnancy, every woman’s skin reacts differently. You may get that pregnancy glow or you may develop more oily skin. 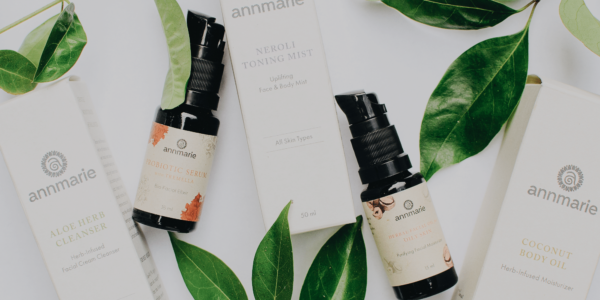 Not to fear, Annmarie Skin Care is here! For oily skin types, our line contains active, supportive, and balanced formulas. Our Citrus Mint Facial Cleanser is an excellent first step to removing oils and impurities on the skin. Next, our Rosemary Toning Mist offers a refreshing and medicinal spritz for the face. Rosemary is naturally purifying and cleansing. For a moisturizer, we recommend topping this skin care routine off with our Herbal Facial Oil for Oily Skin. This targeted facial oil contains cleansing herbs to help control oily skin and prevents pores from clogging. Essential oils are somewhat of a controversial subject. Most essential oils are generally safe to use while pregnant. They are not recommended for use undiluted directly on the skin, however. They are very powerful plant extracts, so we suggest speaking to your midwife or health care professional if you are unsure about essential oils. There are several pregnancy-safe options, including: lavender, neroli, eucalyptus, sandalwood, patchouli, geranium, frankincense, bergamot, tea tree oil (not in labor), and spearmint. Those that are not considered safe are those that are emmenagogues (menstruation promoters), including: cedarwood, chamomile, clary sage, ginger, jasmine, juniper, marjoram, myrrh, peppermint, rose, and cinnamon. Essential oils are wonderful diluted in a nice, warm bath. Doesn’t that sound heavenly? Are Annmarie Skin Care Products Safe During Pregnancy? Yes, our products are safe to use during pregnancy. 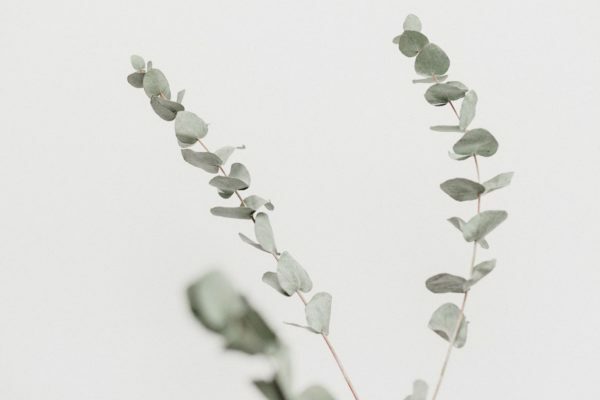 Common questions we’ve received from our customers are either regarding the white willow bark in our Herbal Facial Oil for Oily Skin or the use of essential oils throughout. Willow bark is a natural source of salicylic acid. We use willow bark as one of the herbs included in the herb/oil infusion, but our infusions are kept at such low temperatures that it would require a temperature above 95 degrees fahrenheit to extract the active components of salicylic acid to release into the oil infusion. As for essential oils, some herbalists usually recommend pregnant women stay away from pure essential oils (on their own), but it's a different story when they're blended because you're not inhaling that particular “harmful” oil directly, nor are you putting a significant amount on your skin. Also, to help set your mind at ease, many of the toxicological studies done on herbs are looking for a toxic ceiling—not the minute amount we have in our products. We hope this pregnancy-safe guide helps you make honest choices for you and your baby! Always do your research and look into ingredient lists to make sure you are avoiding any unsafe chemicals. There are many greenwashed beauty products out there that are misleading. Check your labels and don’t buy into false marketing! Are you more cautious with your skin care products now that you're pregnant? Please share your thoughts. Sherman, Kathy. The Dangers in Hair Coloring and Safer Alternatives. February 1, 2008. Hi, I see that Neem Leaves are included in the herbal facial oil. I’m confused b/c I thought that Neem was not safe to use during pregnancy? Hi Natalia! The herb infused oil will absorb some of the minerals and properties from the neem leaves during the infusion process, sure, but it is a minute amount. We believe all our products are safe for use during pregnancy 🙂 Please team up with your health care professional to double check if you are still feeling weary! You could also use one of our other Herbal Facial Oils that does not contain this ingredient, like our Herbal Facial Oil for Normal & Combination Skin. Looks like the anti-aging oil contains comfrey leaves in the herbal infusion. Most experts say to avoid comfrey during pregnancy and that it can be damaging to the liver. I realize you think the infusion is safer than an essential oil because it’s a lower concentration, but I’m wondering if anyone out there has used this during pregnancy and been fine. Otherwise, I think I’ll be steering clear to be on the safe side. i thought rosemary causes miscarriages? You really shouldn’t recommend that people get their vitamin d via sun exposure “with protection” since uvb blocking sun protection prevents skin synthesis of vitamin d which is extremely important for baby’s developing brain! I am confused. In this article you recommend your Rosemary Toning Mist, but in your “Herb of the Week: Rosemary” article you say “It’s really important to note that people who are pregnant, have high blood pressure, or seizure disorders shouldn’t use Rosemary.” So um, which is it? The Rosemary Toning Mist is a hydrosol, with no essential oils of Rosemary in it. It is simply a Rosemary distillate. Pure EO of Rosemary are to be used with discretion and with approval by either a doctor or midwife. Just recently fell in love with the Annmarie products. What an amazing difference in my skin. As a nutritionist and fertility coach. I always like to try products before I reccomend them. This is a great post and I will be passing this information to my clients not only for pregnancy but definitely for fertility. I see that Peppermint is one that you do not suggest. I thought it was safe for rubbing on temples and the back of your neck for headaches during pregnancy? Is this not safe? As an awaken doula, childbirth educator and health coach, thank you for the information – nicely structured – in that I can use it as a handout for my clients. Hey thanks for the great tips during pregnancy…I read it, nice…I will share to my sister who conceived now….Great job…..